Anthony Privette is a well-recognized North Carolina business and civil litigation lawyer dedicated to fostering the growth of businesses in Statesville and other areas of North Carolina. Equally comfortable in trial, arbitration, or settlement negotiations, Mr. Privette has helped numerous corporations and organizations resolve their legal business disputes. North Carolina law permits parties to bring a civil suit to recover a right, obtain damages, or prevent future injury or legal disputes. These suits generally require application of state and federal law, depending on the individuals, organizations, or business entities involved. Various statutes, case law, and constitutional provisions may be implicated depending on the case. The majority of civil litigation suits can be settled outside of court without proceeding to trial. Once in court, the resolution of the dispute can become a lengthy, complex process. Different parties may intervene, filing cross-claims and counter-claims involving the original parties. The court may certify a large group of people with the same claim as a class to promote efficiency and avoid overlapping factual issues. Statutes of limitation give parties a limited time to file suit. 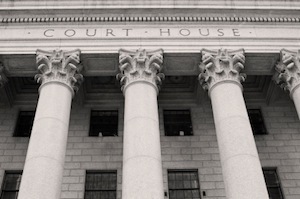 In North Carolina, the prevailing party in a business dispute usually cannot recover attorney’s fees unless a specific statute provides otherwise. However, the legislature recently enacted a law allowing limited attorney’s fees in breach of contract claims where the contract itself provides for such fees. Under Section 6-21.6 of the North Carolina General Statutes, a provision in a business contract awarding attorney’s fees is valid and enforceable if the fees are reciprocal and applicable to all parties. The contract must have been entered into “primarily for business or commercial purposes” and all parties must have signed by hand. As in most cases, the attorney’s fees may not exceed the award for monetary damages, which can include lost profits, damage to goodwill, and other compensation for the detriment “proximately caused” by the defendant. If you require legal assistance resolving a business or commercial dispute, the experienced North Carolina business and civil litigation attorneys at the Law Offices of Anthony Privette can help. Mr. Privette has extensive experience representing businesses in complex litigation matters in state and federal court. Corporations and organizations throughout North Carolina trust him to represent their best interests and help their business grow. In business litigation, there is no substitute for experience. Mr. Privette works closely with companies to ensure their practices conform to legal standards and are aligned with their objectives in forming a business entity. Whether you are a sole proprietor, limited liability company, or professional corporation, we are dedicated to providing you with stellar legal representation and achieving the best possible outcome in your case. Call (704) 872-8125 for a consultation or contact us online.